So this is a little bit of a sarcastic post title, I kinda just wanted to mimic all the Ramadan posts for travelling to the Middle East. I wanted to write this post because I am in Northern Ireland quite a lot, and was there over the 12th. I'm not Northern Irish or pretend to be an expert about it but thought I might try to give a little insight since I don't think a lot of people even know about the 12th, or if they do its certain things. Plus, when I was over I took some pretty sweet pictures of the bonfires as they were being built so need somewhere to show them off and all. 12th celebrations began in the 18th Century to celebrate the Glorious Revolution (I did this in second year uni so I probably find this waaay more interesting than what it is. The Glorious Revolution was in 1688 and was the overthrow of the [Catholic] King James by parliament (people say this is the start of secularism, disruption of the divine right of kings etc etc) and William of Orange, a Dutchman along with James' daughter Mary. This is where the Orange theme comes in which you see a lot on the 12th. In relation to Northern Ireland this culminated in the Battle of the Boyne in 1690 where William of Orange won and ensured that Ireland was protestant. 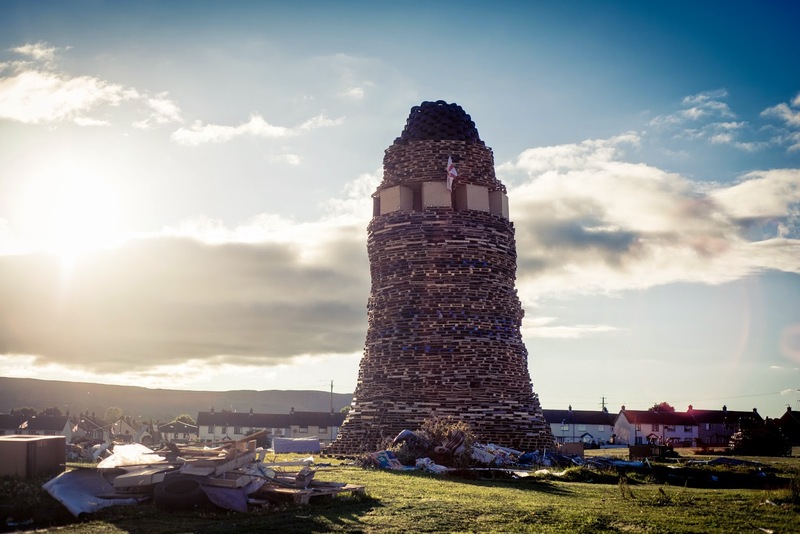 The commemoration of the 12th fits into the mythology of the culture of modern Northern Ireland which is heavily influenced by the events in the late 20th Century - the Troubles. 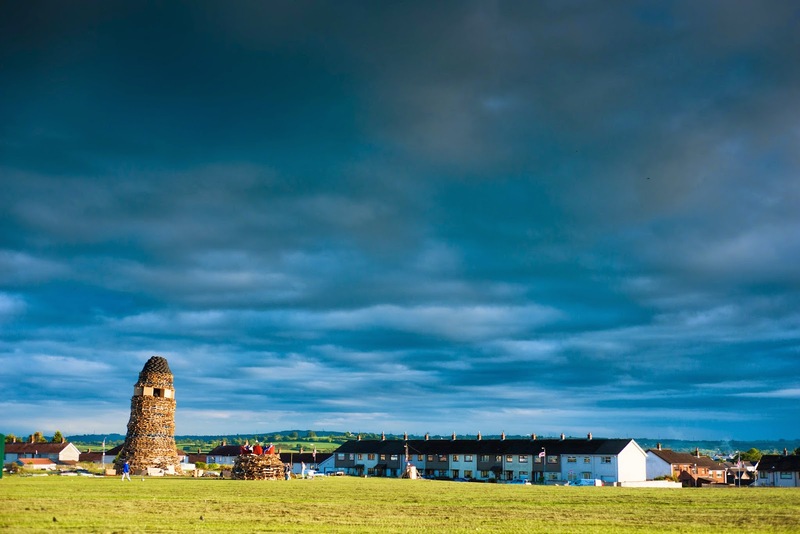 The term Troubles refers to a period of extreme enthno-nationally driven conflict in Northern Ireland from 1968 until the signing of the Good Friday Agreement in 1998. The conflict was over the status of Northern Ireland; a Catholic minority wished for it to leave the United Kingdom and join the Republic of Ireland. So the 12th was used as a political and cultural memory of Protestant victory over Catholics. These days Northern Ireland is nothing like what it was like in the Troubles, although there is still flashes of conflict. One such conflict was seen last year with the Flag Riots over the flying of the Union Jack flag on public buildings. I think Northern Ireland is a lovely place to visit, there's loads to do and see. The 12th is more of a national holiday, albeit one this Scot had never heard of before. But it is generally a peaceful holiday, in particular 2014 was praised as particularly peaceful. The closest thing I can compare it to is a town gala but with a massive bonfire and more bands. Roads are closed, parades hit the streets! Loads of bands and marches by the Orange Men. FLAGS! So many flags. You think Northern Ireland does flags, well on the 12th they really do flags. And not just one flag to a pole, I'm talking five. 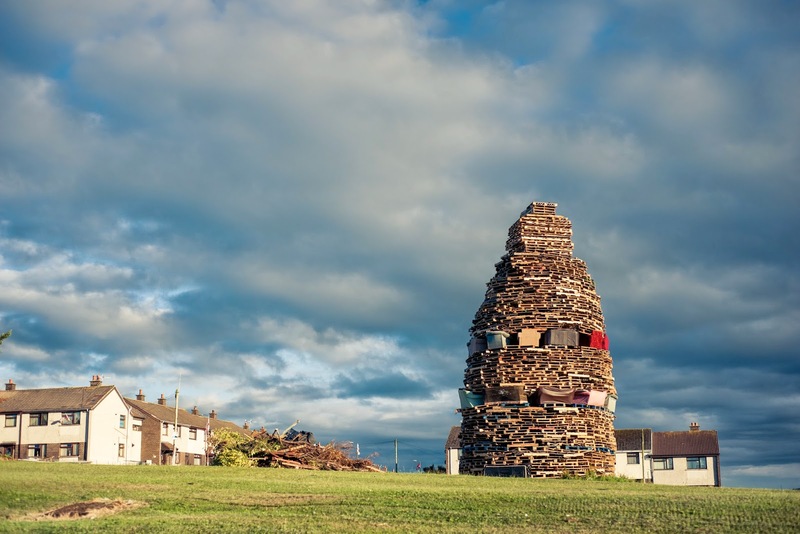 Bonfires are built over the week by communities and then set alight. They are absolutely huge, my photos are from Larne and there was like three in one town. So there is three huge ones in a little town! A lot of the shops are closed so be warned, don't expect to be able to hit the shops. It's pretty busy since a lot of people take this as their summer holiday, often people are off for a couple of days and some trades even take two weeks off for the 12th. Don't ask people whether they are Protestant or Catholic, have some sense! Just don't mention religion at all really. Or the Troubles. If you want to see celebrations go to a wee town, I would stay away from Belfast as some neighbourhoods can still kick off. This freshly painted mural, for example was right beside a Belfast bonfire. It says "Prepared for Peace, Readyfor War". So a little unsettling. Also on the 12th my boyfriend was sent home from work at 3pm because things were getting a little hairy near his work in Belfast. In the words of my boyfriend's Mum, stay at home and make your Christmas cake. That's what she does every year!